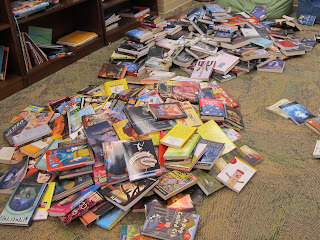 Last Friday, Stephanie, Jennifer and, I had the pleasure of taking around 500 books to the Austin Children's Shelter! My partner in crime, Stephanie and I have been begging, pleading, and buying books to donate since January. If you haven't read my previous posts about this en devour, go HERE and HERE. Janice (from shelter) asked that we condense the picture book shelves and weed through the reference shelves. She wanted to have a collection that better represented the teen population of the shelter. 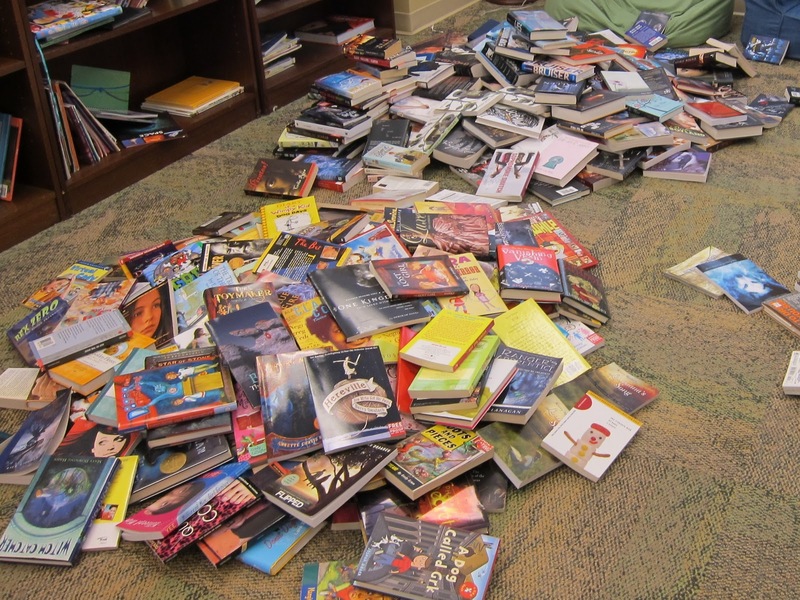 Clearing and condensing made room for some great MG and YA books! You are all truly amazing and we are so happy and thankful that you helped us spread some bookjoy! We hope that this inspires readers to take a look at their community and see if there is a need. It's amazing what time and a helping hand can do for an organization. No money required! Count your blessings and give back. If you didn't donate and would like to (or want to donate again! ), this will be a continuing project for us. *Thank you Jen at Library Gal for your donation! *Thank you Kelsey at Reading or Breathing for donating again! *Thank you Rachel Caine for donating the entire Morganville Vampires series!